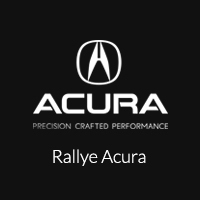 When looking for a new crossover, we think you shouldn’t have to compromise — and a trip to Rallye Acura means you won’t need to. Port Washington and Manhasset drivers can visit our Roslyn showroom to see firsthand the best-selling 3-row luxury of SUV of all time: the new Acura MDX. Between the standard and Sport Hybrid models, this seven-passenger SUV has something for nearly every driver, including Super Handling All-Wheel Drive (SH-AWD) for improved performance and traction and some of the latest in safety and technology — including AcuraWatch safety features and AcuraLink. See our selection below. Between the Technology Package, Advance Package, and Sport Hybrid models, the new Acura MDX has one of the most diverse selections of features — and we want to help you find yours. You can rely on standards like leather, heated front seats, Adaptive Cruise Control, Forward Collision Warning, Lane Keeping Assist, Bluetooth for phone and audio, AcuraLink telematics, a multi-angle rearview camera system, and much more. Contact us today to schedule a test drive of an MDX; we’ll show you the differences between each package so you can decide on them in person.